Georgetown Locksmith Pros offer reliable lock services that won’t cost you a fortune. We can take care of all of your residential and commercial needs, as well as superior automotive solutions, and emergency locksmith services. All of our work is performed by experienced professionals who care about your needs. You can trust us to be friendly and honest, and we will always be upfront with our pricing. Our Company is licensed, bonded and insured. And, all of our technicians are local and available to help you 24-hours a day. Whether you need repairs for an existing lock, or you want to install a new system, we can help you choose from a variety of lock types that will fit your security needs and work with your budget. Mortise locks are much stronger than many other types on the market. They also come in a variety of styles that you can match to fit the design of your property. You will never have to worry about lost or stolen keys ever again. We can install a smart lock system that will allow you to enter your property with the push of a button. Burglars run the other way when they see a home with a deadbolt lock. Protect your loved ones with one of the most trusted lock types in existence. Locks come in different grades, and grade 1 locks are the best of the best. When installed properly, profile cylinder locks will last for a long time with very little maintenance required. We take great pride in offering fast response times at any hour of the night or day. We will do what it takes to be at your location within 30 minutes or less. Our highly trained lock experts look forward to providing you with superior services you can count on. We offer all sorts of lock solutions for your home. From changing locks to rekeying locks, we do it all. Allow us to help you replace lost keys, or we can take care of key duplication. We can also help with deadbolt installation and much more. Whether you get locked out of your home or just want to upgrade your security, our team is standing by to help make your life easier. Our professionals can help you with keyless entry systems, smart locks, mortise locks, profile cylinder locks, and more. We take pride in providing our commercial clients with high-security options. It is our job to make sure that your property is as secure as possible. If you work downtown, or anywhere else in Georgetown, you can also count on us if you lose your keys or get locked out of your property. We always advise our new commercial clients to rekey or change their locks when they first move into a building too so that they know who has a key to their property. When you need quality commercial services, contact us right away. When it comes to hiring a locksmith, you want to make sure that you are dealing with a reputable company that you can trust, like us. Since a locksmith is in charge of your door locks, you only want to deal with professionals who can get the job done quickly and efficiently. Georgetown Locksmith Pros is a company that you can depend on for all of your lock needs. Give us a call when you need residential, commercial, automotive, or emergency lock services. 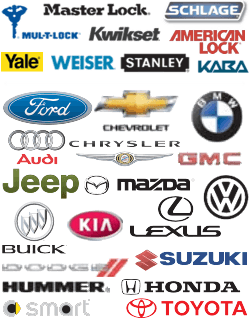 We are a mobile business that has years of experience, state-of-the-art tools and equipment, and friendly professionals who look forward to assisting you with all of your lock needs. Contact us today for fast services when you need them the most. 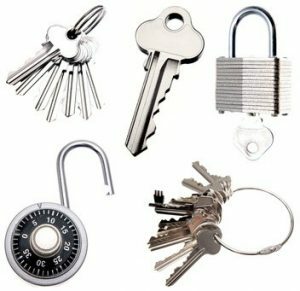 Lock Services https://georgetown-locksmith.co/lock-services/ 3.7/5 based upon 17 reviews.